Our MT-708 Door Intercom Station features eight buttons and allows controlled entry access to its users. 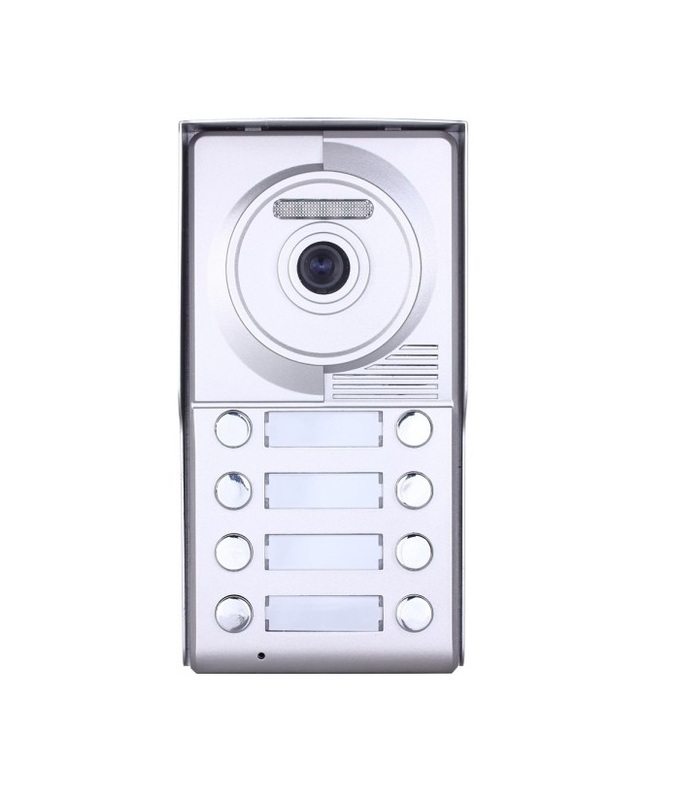 The eight button door camera is well contained in an alloy material outer shell and is vandal proof to avoid tampering. Weighing only one pound, the 3.7 inch wide by 7.31 inch tall MT-708 Door Intercom Station can be surface wall mounted for easy access. The Door Intercom Station allows entry door release features for secure access. The door panel features a blue backlit name plate for night viewing. Apartments, condominiums, business offices, parking garages, schools & colleges, and assisted living facilities are only a few venues that benefit from our Door Intercom Station. Contact us for more information.